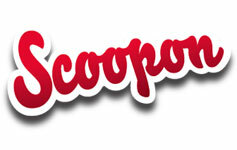 In our many visits to golf clubs these days, there is one word that keeps popping up: Scoopon. GMs and marketing managers are all abuzz about the phenomenon, but they are equally wary about how it may affect their clubs in the future. If you’re not familiar with it, Scoopon.com.au is a website that sells online vouchers with heavy discounts on products and services. A direct copy of the successful Groupon model in the US, Scoopon offers daily deals on things like dinners, massages, car service packs…you name it. In golf, an example could be 2 rounds of golf, plus 2 lunches, plus 2 beers, plus a couple of golf balls…all for a crazy price like $49 – of which the club pockets 50 per cent. Like many people that I’ve spoken to, I’m a bit torn on the issue. On one hand, anything that gets more people playing more golf would certainly be a good thing for the game, right? As a golfer, I’d certainly take advantage of a deal like that, as long as there wasn’t too much fine print (although there usually is). On the other hand (putting on a Club Manager’s hat), common sense tells me that if people can get products or services at a really deep discount, then why would they ever pay full price again? In essence, by lowering your prices via a third party, aren’t you cheapening your product in your customers’ eyes? I see the allure to clubs, and it’s very tempting. With tills running near on empty these days, the promise of hundreds of rounds of golf being added to your booking sheets – mostly during slow weekday time slots – can seem too good to be true. And sure, you might get a bit of Food & Beverage spend, and perhaps a couple of membership enquiries or repeat business down the line. But if someone can buy a handful of cheap vouchers in advance, then will they ever really need to join or pay an expensive green fee? I think not. Factor in the the added costs of course maintenance (like fixing the multitude of extra divots or pitchmarks, etc) and potentially upsetting your full-price-paying regulars, and it’s a big gamble for a measly $25 in the till. Plus, your course as a “Brand” could suffer. That’s something which is very difficult to regain. The long-term result, in my humble opinion, is likely a continual and gradual reduction in green fee prices and memberships. 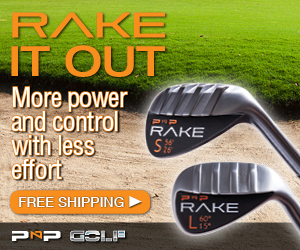 While this may seem good for golfers in the short term, I fear that a “price-driven mentality” could prove unsustainable for clubs, and the weaker clubs could eventually die off. So we’ll potentially have fewer clubs to choose from. That can’t be good, can it? Will golf courses eventually go the way of airlines and hotels? 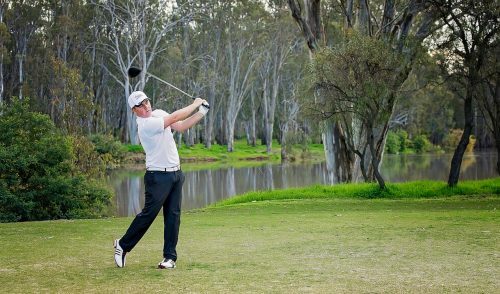 Will green fees change on an hourly basis? Will we soon wonder if the guy sitting in the cart next to us has paid a better price for his 18 holes? As always, we’d love to hear your thoughts! 12 Responses to "Is Scoopon good for golf?" 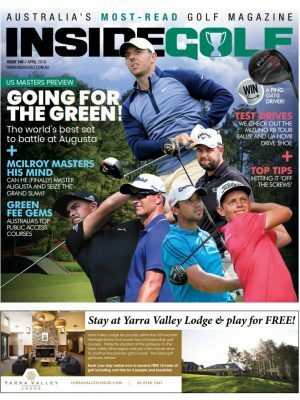 As a member of Chatswood Golf Club (NSW) and a marketing consultant to the Club’s industry (Members Won) I feel that coupons are good for golf. Using Cudo, imagine Shellharbour Links (NSW) surprise when in a 24 hour window they sold 1,969 online coupons that generated $116,000 in revenue and after paying Cudo 50% retained $58,000 for their Club. This was cash up front and they did not have to wait for coupons to be redeemed. Not only did they generate a cash injection, they were supplied the names and email addresses of the 1,969 buyers. What I and my Club (s) would give to get access to the names and email addresses of the 1,969 buyers. For Clubs considering the introduction of a coupon campaign it’s important to shop around; Cudo and Scoopon are not the only coupon providers. 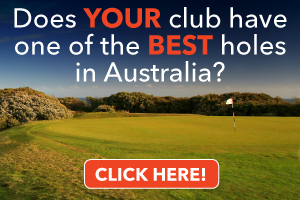 There are many others; crazygolfdeals.com.au, cudo.com.au, spreets.com.au, groupon.com.au,…….the list goes on and on and on! Whilst there are arguments and comments that suggest coupons are not good for golf (price gouging, course degradation, speed of play, course capacity, etc) this is not necessarily the case. People who buy coupons are mainly real golfers. They are not going to hack up your course any more than social players and members would. If you are worried about speed of play introduce compulsory stableford like Muirfield GC (NSW) recently did for social players on Sundays. If you are worried about limited course capacity on weekends then offer a coupon promoting 9 holes rather than 18; especially during the winter months. Coupons are good for golf and I look forward to my Club launching a coupon campaign that will fund some additional improvements to the Clubs facilities. The Scoopon debate will continue to gather momentum as to whether it is good or bad business for golf clubs. I am able to see both side of the argument, being both an avid golfer, but also an employee of a golf club on the Mornington Peninsula. whilst we all agree that these deals are great for the buying public, most of us now have the attitude of “why pay full price again”. 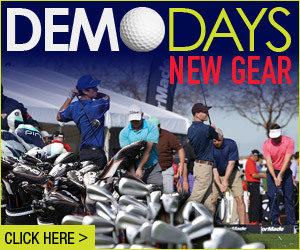 These days, virtually every golf club is now offering such deals with the many daily deal sites available. So what does this mean as an employee of a golf club? Unless the fine print has been clearly pointed out, most buyers fail to read this, and then, when redeeming their “awesome deal” often run into a wall of obstructions, either members days, limited tee times, corporate days etc. Our club has been renowned for many years offering the best winter golf deal around, but now this has been lost amongst the many deals that clubs are offering, all looking for the quick cash grab, without I feel the thought of any of the repercussions of heavily discounting your product. What does this say about us? are we prepared to take what we can, when we can? and where do we draw the line? are we to price match our competitors for fear of them walking out the door to the club next door? what expectations will the customer be able to ask for when booking golf, lunch? drinks? who knows where this will stop. Having done some research into Scoopon, Groupon, Team Spreets, Cudo and the like, one has to wonder who is making the money from these deals and why a Golf Club (business) would offer such discounts to non-members, all in the name of some extra revenue. Firstly you must come up with a deal. Include golf (one part of the business), Meals (another – perhaps independant – part of the business), drinks from the Bar, Range Balls, Cart hire (possibly Pro Shop owned); and then discount the lot by a minimum of 50%. Then your selected marketer sells the product on your behalf and takes 30% (Scoopon) or 50% (Groupon) of the revenue leaving the club with around 25% of what they could have sold the ‘package’ for. Begs the question; Who is making the money from these deals, The Club or the marketer? In my research, businesses I have spoken to, are still assesing if these deals have been worthwhile and almost all of them have ‘run into’ unforseen problems which has impacted the experience. All businesses (Golf Clubs) have fixed costs, but why cheapen the experience of golf? Take the example of Shellharbour. For the $58,000.00 income they received, they sold (regular cost) a minimum of $232,000.00 worth of golf and other income. Cudo made an easy $58,000.00 in 24 hours. Is this good marketing? Does it convey to the members and the public that you are an equitable business or scramling for any income? Sean may well be right and if, in 12 to 18 months time, these types of deals dye out, they will leave Scoopon etc with easily made income and Clubs wondering how to make up the difference. 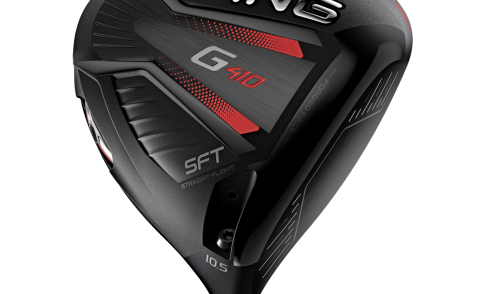 Whilst a lot of golf clubs (sporting clubs) are wrestling the problem of income and revenue, they should’nt de-value their product to the extent that the income received is of more value to the marketer than it is to the clubs themselves. 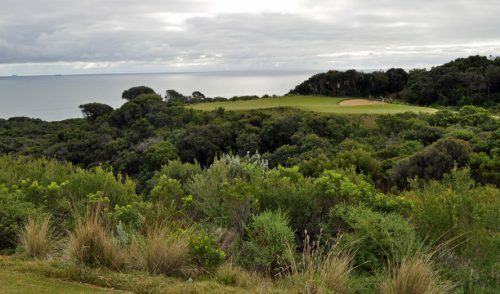 I’ve used a voucher for Northbridge Golf Course (Sydney) and another for a stay’n’play at Wisemans Ferry (north of Sydney). With the restrictions placed upon us, including no public holidays, and the competition for available slots, I would advise anybody that it’s not worth the effort. If you can’t afford to pay the golf fees, you’re probably not going to play golf anyway. Northbridge looked after us well, and they would have looked after us equally well if we’d paid full price, but they’d have got all the money. Knowing that they only get half the money means that I won’t buy any more vouchers for golf, because I want to support golf in Australia. I don’t want to support Scoopon. I think the coupons are great. Being a social player, it allows me access to golf courses that I would not even consider playing at due to distances and time and costs. Sure you are restricted to times and days but with the coupon it forces you to plan ahead. I have used up my coupon and have been back to this course for another game at normal cost because I liked the friendly athmosphere at the Club and the course itself. As we are pensioners and love our golf the Scoopons are a great idea as we can play courses we would not normally be able to afford. We can play during the week and we tend to fit in with the times that are available. The clubs are usually very friendly and try to help us with times and dates.What more could you want. Right now I’m researching club membership in Brisbane. However I keep looking at the Scoopon type deals and think they are incredibly cheap, as long as you can play Mon-Fri and/or fit in with time of day restrictions. I can see good and bad in these, but that mass injection of cash has to be attractive to a club! I cant see this version of sales disappearing anytime soon.